Sarah Palin's criticism of the critters is just bad buzz. Research on them offers insights into learning, genes, diseases. 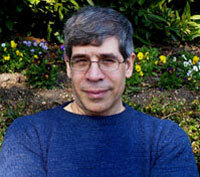 JERRY COYNE is a professor in the department of ecology and evolution at the University of Chicago, where he works on diverse areas of evolutionary genetics. 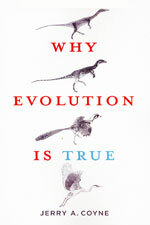 He is the author (with H. Allen Orr) of Speciation, and Why Evolution Is True. Enough already. I bit my tongue when I heard that Sarah Palin believed that dinosaurs and humans once lived side by side and that she and John McCain wanted creationism taught in the public schools. And I just shook my head when McCain derided proposed funding for a sophisticated planetarium projection machine as wasteful spending on an "overhead projector." But the Republican ticket's war on science has finally gone too far. Last week, Sarah Palin dissed research on fruit flies. As a geneticist, I've worked on fruit flies in the laboratory for three decades. I know the fruit fly. The fruit fly is a friend of mine. And believe me, Sarah Palin doesn't know anything about fruit flies. The research Palin attacked was a perfectly valid project designed to protect American growers from the olive fruit fly, a destructive pest. But fruit-fly research is good for far more than that. The fruit fly is what we call a "model organism." Since all animals partake of a common evolutionary history, we share basic features of physiology, development and biochemistry. And because flies are easy to study, quick to breed in the lab, and cheaper than chimps and mice, we can often use them as models for things that go wrong (or right) in our own species. For example, most of what we know about how genes are passed on in humans came from breeding studies of fruit flies — work for which T.H. Morgan won a Nobel Prize in 1933. (This included work on the effects of abnormal numbers of chromosomes, the cause of Down syndrome.) Since then, three other Nobel Prizes in medicine or physiology have gone for research on fruit flies. This work has given insights into how bodies are built and how learning might occur. The flies are models for disease, too, producing possibilities for curing epilepsy, Alzheimer's and, yes, one of Palin's favorite causes, autism. Why are the Republican candidates so contemptuous of science? I suppose it's part of their general attack on "elitism," which has been surprisingly effective. We white-coated nerds in our labs, fooling around with flies at taxpayer expense, are easy targets. But America can't afford cheap shots at science, because a lot of basic research has immense implications for human welfare — even if ignorant politicians can make it sound silly. Work on fruit flies is just one example. This year's Republican campaign has consistently attacked the values of reason and logic that undergird our democracy. If anything has led to America's high standard of living and world preeminence, it's the idea that we can advance only with the best science possible. When Palin declares that we don't have to know what causes global warming in order to fix it, she's not only exposing herself as a scientific illiterate; she's going against two centuries of American progress in technology, medicine and science. Trying to bond with the American people by taking pride in your ignorance and making science the common enemy — now that's a bridge to nowhere.